As promised, here is the waffle recipe I was raving about yesterday. These are so so yummy. I highly recommend you make these Saturday morning and stay in your PJ's all day with a good book. Okay, maybe that's my dream. But seriously, these are delicious. And your house will smell like Fall. Yes, please! 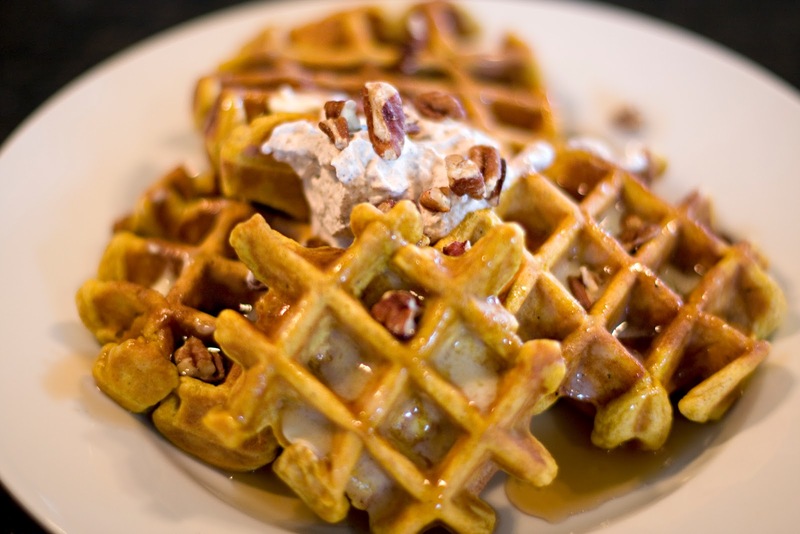 Make the whipped cream first so you can eat the waffles when they're nice and hot. 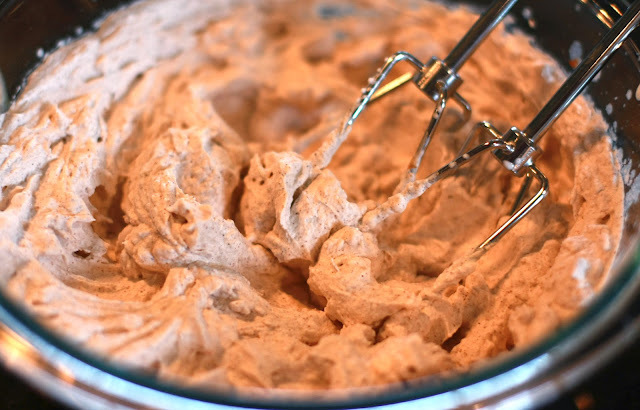 Start by beating the whipping cream till it stiffens, a few minutes maybe. Then beat in your sugar and pumpkin pie spice. Try not to eat several spoonfuls. Store it in the fridge while you make the waffles. *Just my husband and I were eating these so I halved the whipped cream measurements. It won't last for more than a day. But keep the measurements the same if you have more people for breakfast. 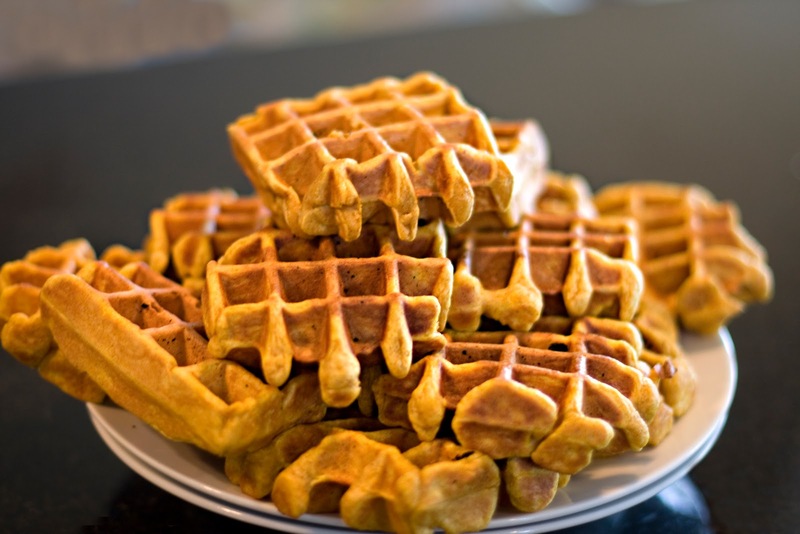 Now turn on your waffle iron and spray it well with cooking spray. Then start on your waffle batter. 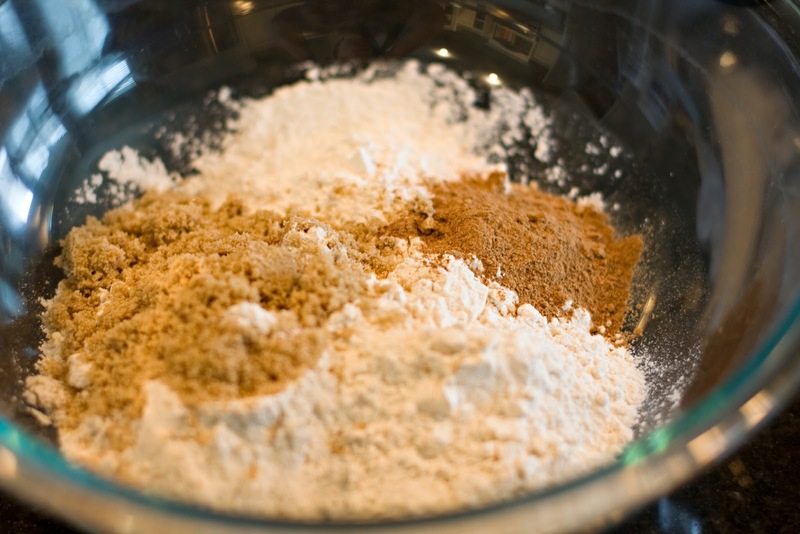 Mix all the dry ingredients together first. Then add in the wet ingredients. 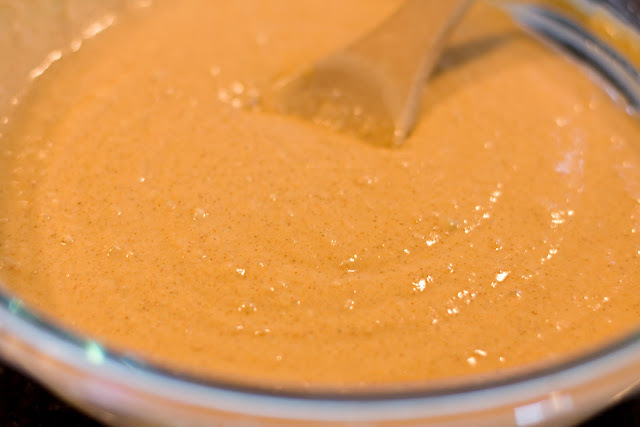 Now pour your batter, about 1/4 cup at a time. This mix makes a huge stack of waffles. But they freeze nicely so we made the whole batch. The batter should also be fine for a day or so, if you want to make it ahead of time. Now load those babies up with butter, maple syrup, and your spiced whipped cream. We also sprinkled on chopped pecans. 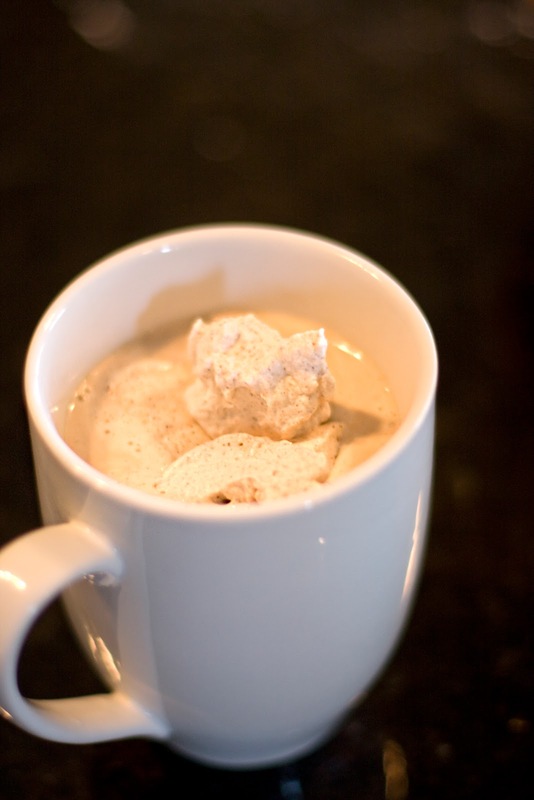 Next you'll want to top off your coffee with some of the whipped cream. I may have had two extra cups of coffee because the stuff is so tasty!